(Host) A new report by the Agency of Natural Resources says Vermont needs to be better prepared for future flooding. The state’s Climate Change Team says data predicts that Vermont will get more extreme rain events in the future, so flood resiliency may be a critical need for adapting to climate changes. 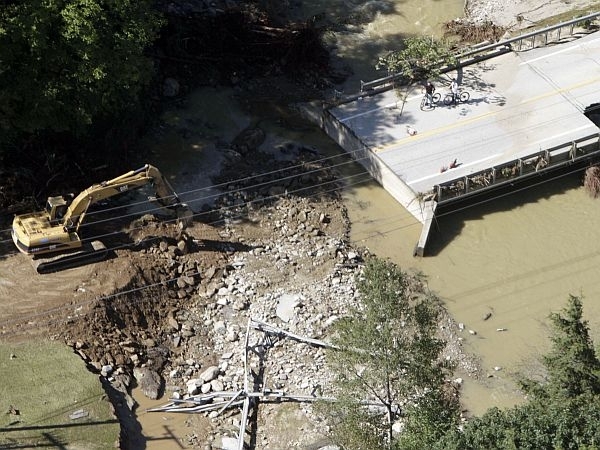 The report says that Vermont’s river communities, which were hit hard by Tropical Storm Irene, are vulnerable to intensive flood disasters, and begins to count the costs associated with that vulnerability.